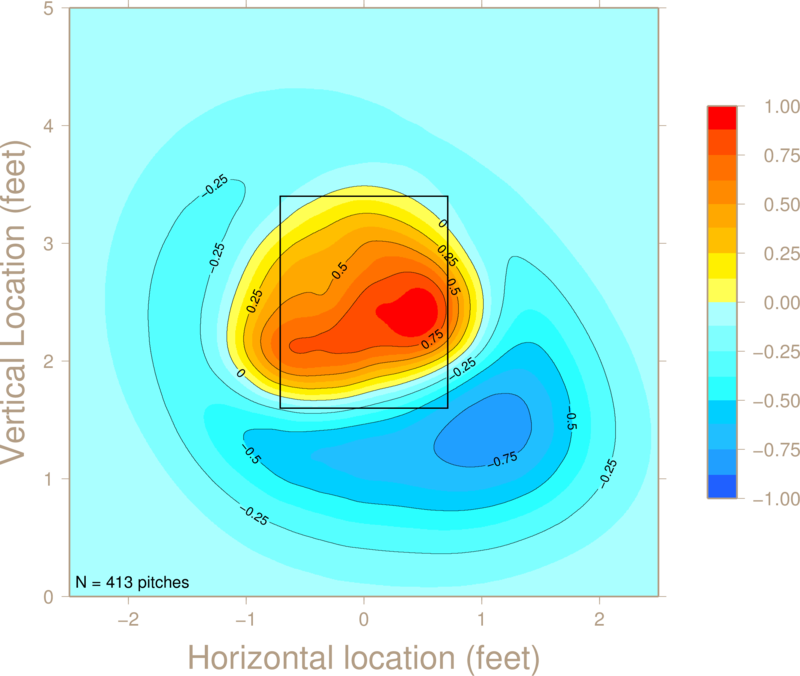 I recently decided to take a look at the strike zones called for an entire series. I selected the recent Cubs-Padres series (April 30 to May 2 at Wrigley Field) for a couple of reasons: my cubs fandom, the fact that there were several southpaw starting pitchers in the series, and the fact that it was a split series with each team winning two. 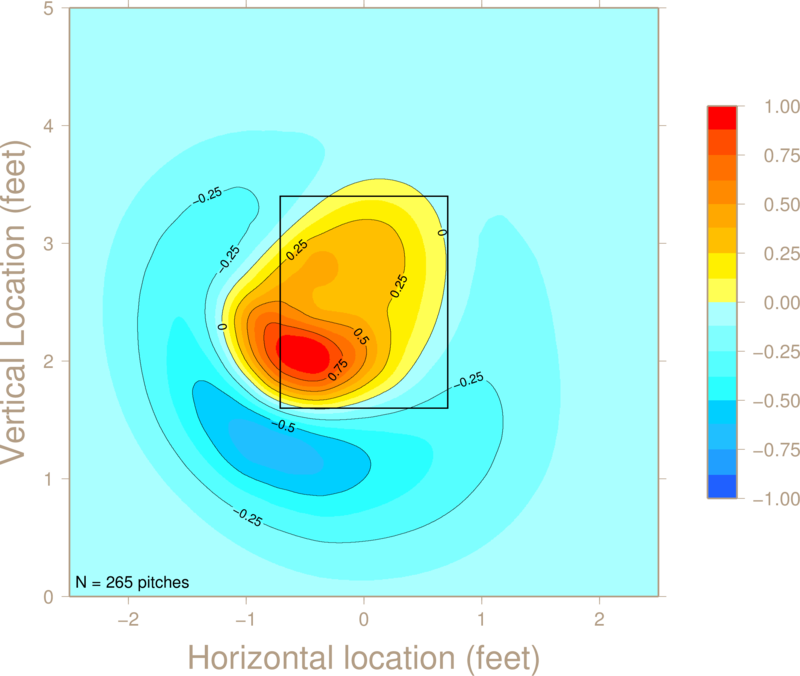 So I plotted up the strike zones using the data from all four games, dividing it up six different ways. Check it out below. Strike zone called when a right handed hitter was at the plate. Strike zone called when a left handed pitcher was on the mound. Strike zone called when a right handed pitcher was on the mound. 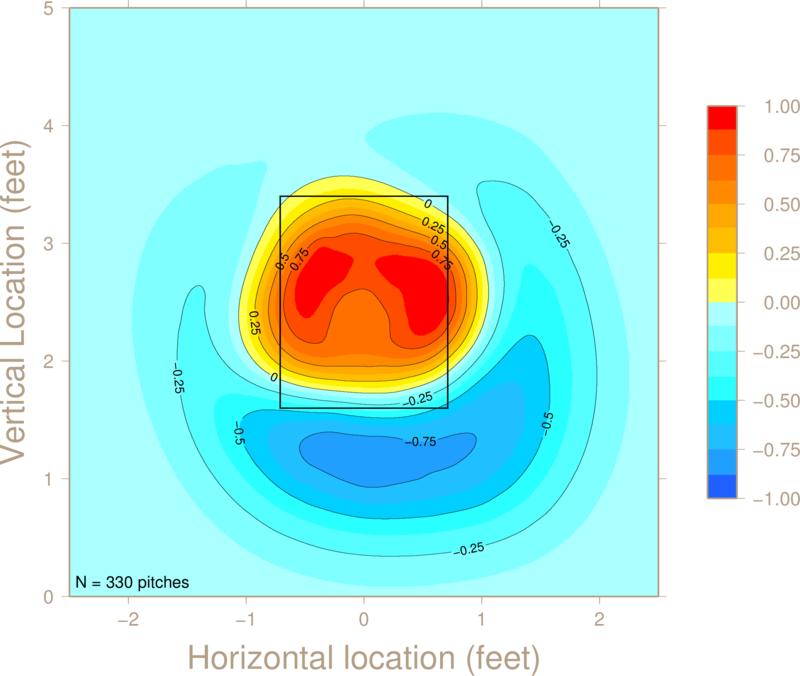 Strike zone called when the Cubs were pitching. Strike zone called when the Padres were pitching. 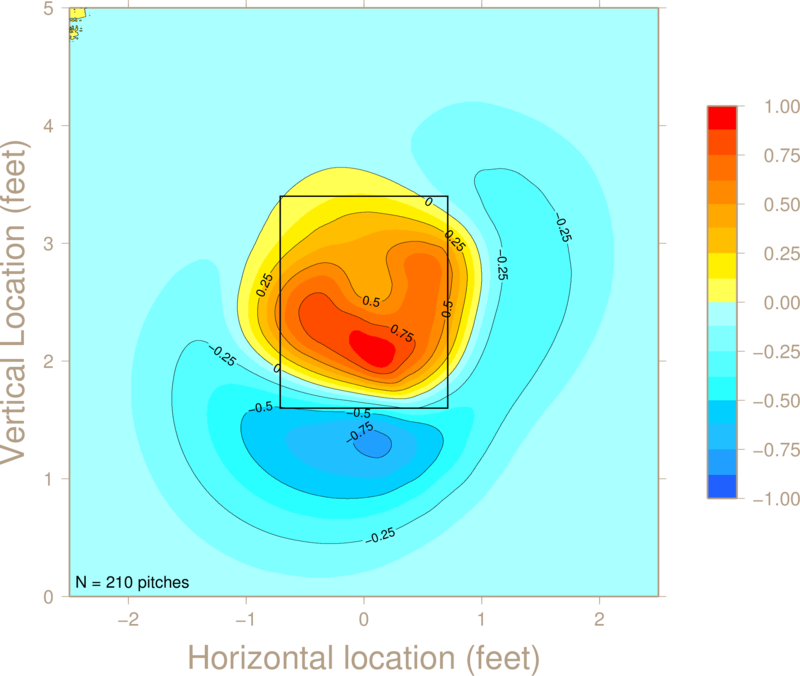 The biggest thing that stands out to me is the difference between the strike zones called for the Cubs and Padres pitchers. 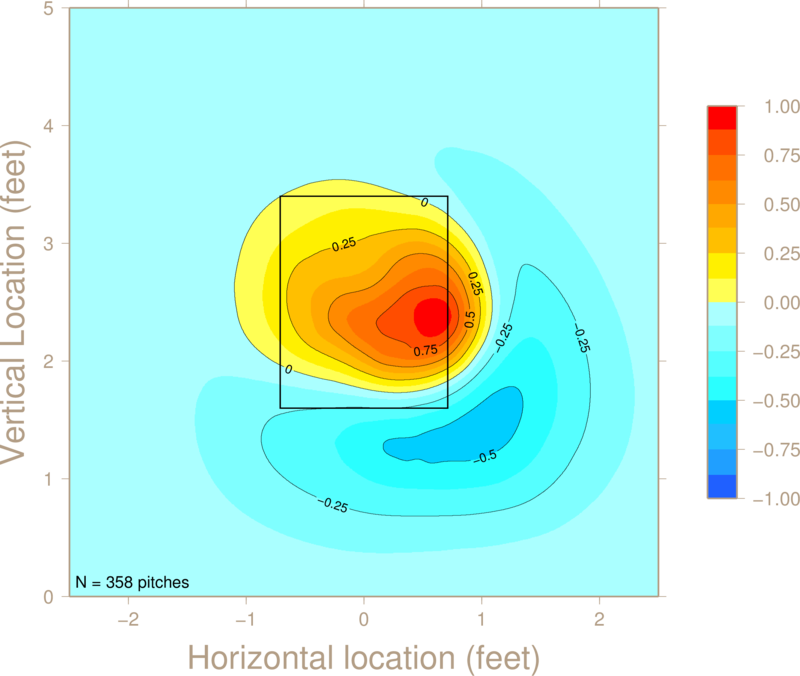 I haven’t done any looking into why the Cubs’ pitchers would not be getting strikes called on the upper corners of the zone, but I think it may have to do with pitching philosophy. 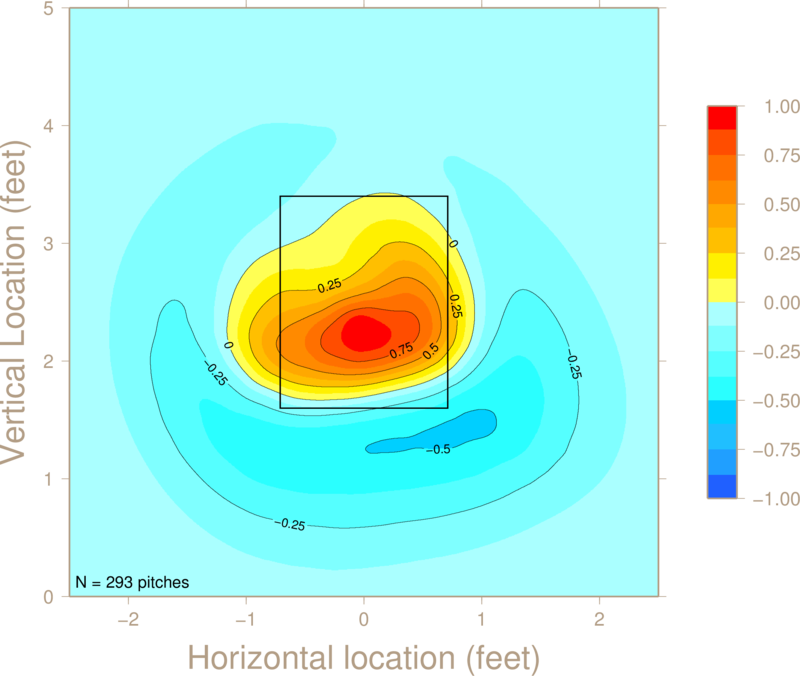 Perhaps Cubs pitchers try to throw a lot more strikes in the bottom half the zone and they did a better job keeping the ball down. I am not sure, but it sure strikes me as odd that there would be such a huge difference between these two particular data sets.